Probiotics are fantastic critters that pack a powerful punch of health benefits for your entire body. 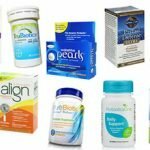 There have been dozens of probiotics studied to show how they can help your overall health, as well as specific ailments. The most common probiotic groups you’ll see are Lactobacillus and Bifidobacterium. Each probiotic group then has many different species within it. Then each species has numerous probiotic strains. I know the rabbit hole of probiotic groups, species, and strains can be confusing, but I hope you’re sticking in there with me! What all this means is that not all probiotics are created equal. There are many layers and facets to each one, making them very unique. 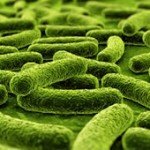 What is interesting and beneficial is that some probiotics seem to work for specific health concerns or ailments. 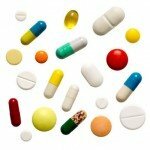 An analysis of 34 double blind, randomized, placebo-controlled research studies was done on 4,138 individuals using Lactobacillus rhamnosus GG, while taking a round of antibiotics, showed that those taking the probiotic strain had a 60% lower chance of experiencing antibiotic-associated diarrhea. This particular strain can be found in Culturelle, which made our top ten list of probiotics. In research studies done on rats and humans, daily supplementation of Lactobacillus helveticus R0052 and Bifidobacterium longum R0175 showed to significantly reduce anxiety in the rats and relieved the humans of psychological distress such as depression, anger, and hostility. 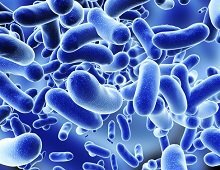 In a randomized, double-blind, controlled trial of 66 individuals suffering from constipation, those who took a probiotic supplement of Bifidobacterium, Lactobacillus, Streptococcus species and Fructooligosaccharide (FOS), twice daily for 4 weeks showed significant improvement in their stool frequency and consistency than the placebo group. In a randomized, controlled trial with 50 infants experiencing colic, those who received a probiotic supplement with 1 billion CFU of: Bifidobacterium breve, L. acidophilus, Lactobacillus casei, Streptococcus thermophiles, L. bulgaricus, L. rhamnosus, B. infantis and Fructooligosacharide (FOS) for 30 days showed a 82.6% higher rate of treatment success than infants receiving the placebo. In a randomized, double-blind, placebo-controlled study of 40 infants and children, those taking a probiotic blend of: Streptococcus thermophiles, Lactobacillus casei, Lactobacillus rhamnosus, Lactobacillus acidophilus, Bifidobacterium breve, Lactobacillus bulgaricus, Bifidobacterium infantis, and Fructooligosaccharide, twice a day for 8 weeks showed to clinically improve the severity of eczema. 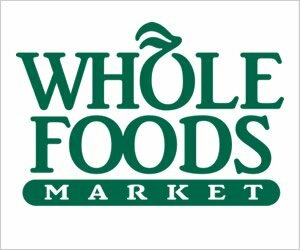 In a double-blind, randomized, placebo controlled study, 594 individuals received milk that contained Lactobacillus rhamnosus GG for 7 months, 5 times a week, and the results found that those who drank the probiotic milk had significantly reduced their risk of having cavities compared to the placebo group. Whether it’s constipation, cavities, diarrhea, eczema, colic, or anxiety, be sure to look for probiotic supplements with the specific strains mentioned above. If you’re looking for more in-depth probiotic reviews, be sure to check out our list of the 10 best probiotics and find the perfect match for you!